Your bylaws: They’re the set of rules that govern your organization. Your staff and board of directors likely know them backwards and forwards. But how does your organization adjust its bylaws when it becomes time for a change? For Nadine Merker, Director of Member and Volunteer Engagement at the American Association of Diabetes Educators, the process of changing bylaws ultimately rests with the board. “If the governing body finds that the bylaws are in conflict with the strategic vision, direction, mission or operation of the organization, a motion is made to change them,” Merker said. Once the idea is put in motion, it is discussed and then approved by the AADE board of directors. Once accepted, the proposed changes are sent out to members for a vote. This process can vary depending on the organization and its bylaws. “It’s important to note that the bylaws themselves usually define voting and how it should be conducted,” said Merker. She explained that bylaws must be followed exactly, especially when it comes to elections and voting. This is why it is imperative that organizations know their bylaws completely. If your board or governing body finds that bylaws need to be expanded upon, updated, deleted or modified, follow the rules in your bylaws for making an amendment. If it is determined a vote on the proposed amendment is required, details of how voting should occur will be defined in your bylaws. 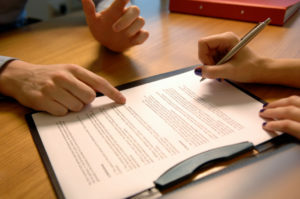 In the proposal stage, it is typical for the board to gather input so that the proposal can be modified, if necessary. If bylaws are to be changed, a document communicating the changes is then sent to members. Again, following the defined process on voting is extremely important. The appropriate steps must be followed to ensure that your organization is making changes the right way. Your organization’s bylaws provide a precise framework on how bylaw changes are to take place – follow those rules to the letter! Members must be notified that a vote is happening and what the proposed changes will be, so be sure to give appropriate notice. Provide your members a clear and convenient way to cast their vote that follows your procedures. As every organization is unique, so are their bylaws. If you have questions about how to change your organization’s bylaws and how to update election language, contact us, we’re here to help. Has your organization celebrated successes or run into challenges changing bylaws? Let us know in the comments below. Previous Previous post: Why Be a Member of a Cooperative?